Synthpop and electronica aficionados, get ready for the magnificent Sylvan Esso, supported by Flock of Dimes, the solo project of the incredible Jenn Wasner, on Wednesday 23rd August 2017!! Tickets on sale now and disappearing fast – don’t wait about to get yours!! 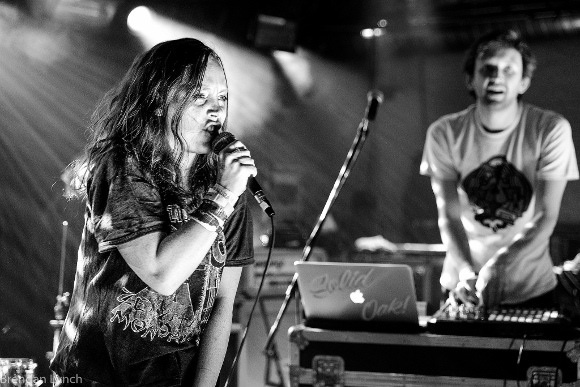 Book your tickets to see Sylvan Esso and Flock of Dimes TODAY, before they go!!! Opening the show is Jenn Wasner. One of the founding members of the indie folk band Wye Oak, having toured with acts such as The National and The Decemberists, Jenn Wasner now brings her talents to the fore in her solo project Flock Of Dimes!! Listen to the new single below and be among the first to hear the new album live!! Get your tickets to see Sylvan Esso today! !